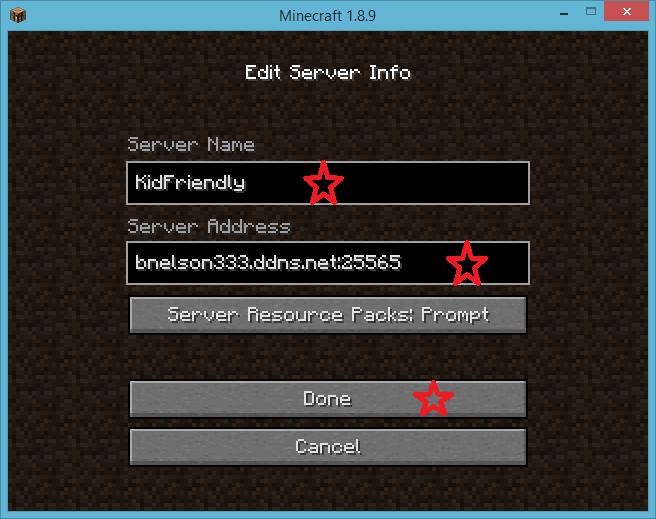 These are our Minecraft servers, our hope is to give kids a friendly place to play with their friends. 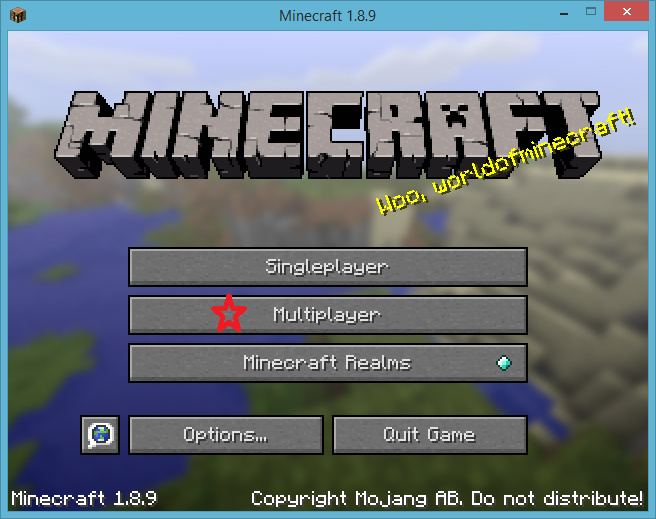 To play, choose the mode you wish to play on and use the server:port listed to connect in multiplayer. On all servers, the rules are: no swearing/bullying or destroying others' structures. Keep it clean and friendly. The admins are bnelson333 and KandiceMN. IMPORTANT - To protect your structures, you should set up protection on a region. Click here to learn how. 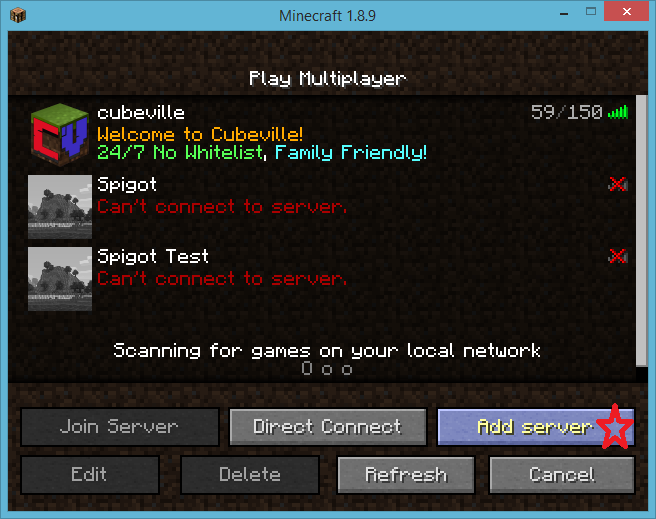 NEW - We are retiring our old Vanilla/Forge servers and focusing only on Spigot servers. 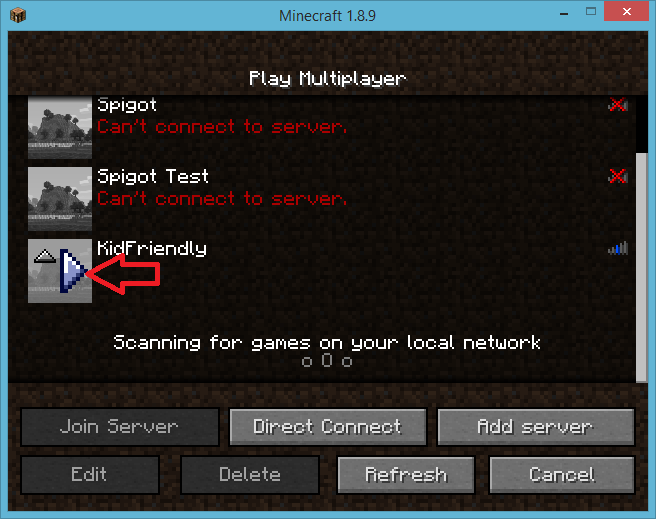 Minecraft has a tendency to tell you in-game that the server is offline, try to connect anyway! Not sure how to connect? 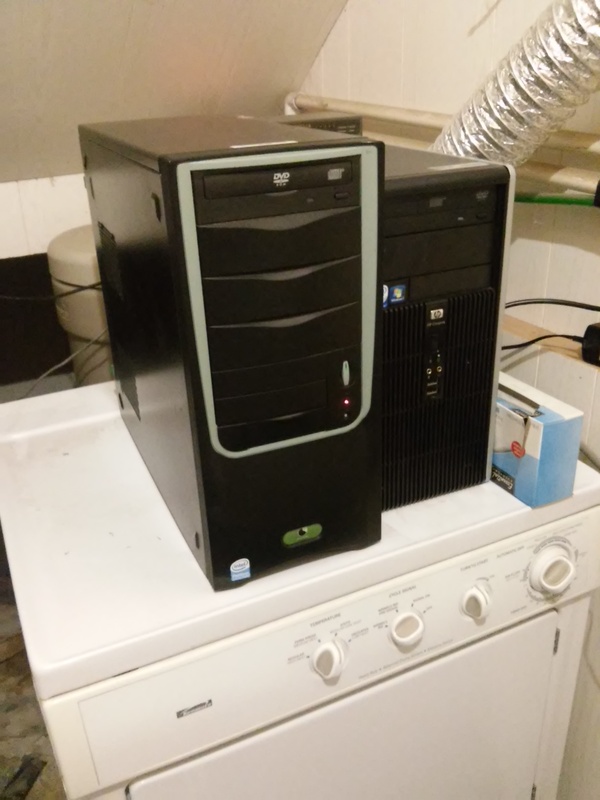 Servers run MineOS on Turnkey Linux. This is a really great distribution for hosting a Minecraft server, I strongly recommend it.